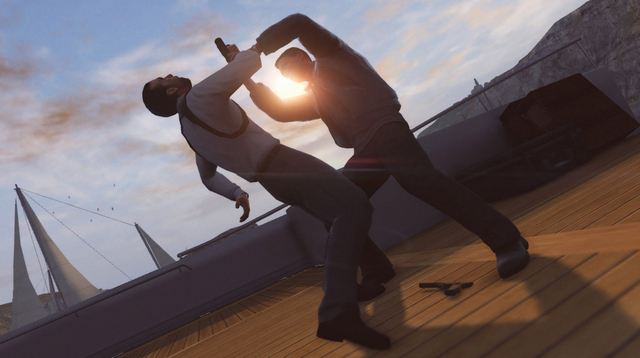 How do you make a James Bond video game bad? Let Blood Stone be your guide! 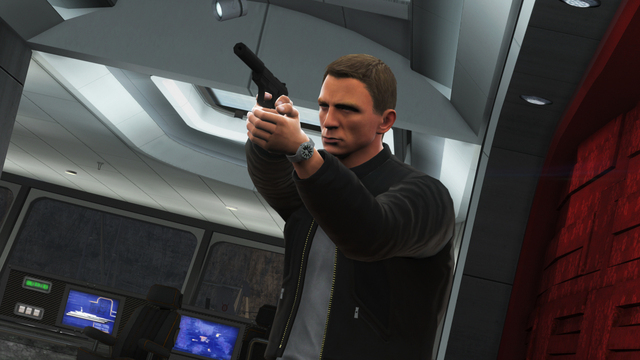 As a fan of the James Bond franchise, I always look forward to the release of the next game in a franchise that has delivered a number of highly entertaining video games. Having played Quantum of Solace, my expectations were high for Blood Stone. However, my expectations went unrewarded and I believe it all has to do with one single fact. 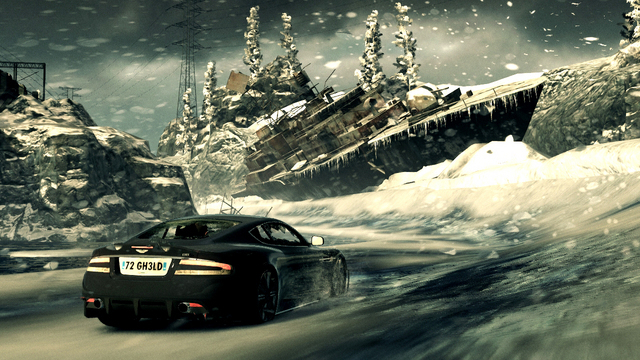 Quantum of Solace was created by the brilliant minds behind the very successful Call of Duty franchise, namely Treyarch. However, this installment of 007 was handed over to Bizarre Creations. Bizarre Creations finds their success in driving games, not shooters. And this fact was annoyingly obvious while playing through Blood Stone. The staples of James Bond all exist here -- a silenced P99; exotic vehicles; scenic locations such as Burma, Bangkok, and Istanbul; gorgeous women; and evil villains. Even the title sequence after the prologue all stay true to the 007 canon. 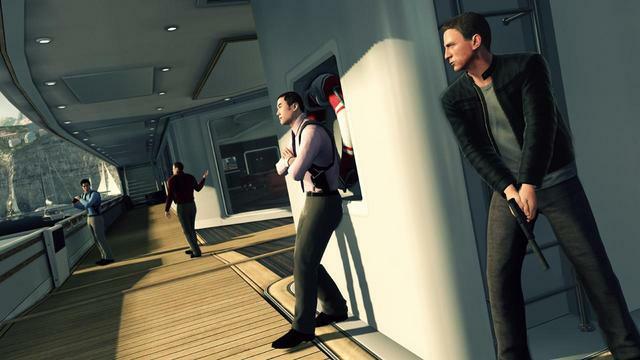 The linear storyline and basic controls will feel very familiar to those that have played Bond games before, thus the game is very easy to just pick up and play. Like its predecessors, Blood Stone incorporates a cover system. What's odd is that despite cover systems being greatly refined over the years, the one in Blood Stone feels completely unpolished. The controls feel clunky when entering or exiting cover. Quite often, there is a "gluey" feel to it, which can prove fatal when Bond is being attacked by several enemies from various angles. A more fluid approach to this aspect of the game would have made the gameplay much more enjoyable. As if that wasn't frustrating enough, the gunplay will make your blood boil! When you play on the more common difficulty levels (normal through 007), you lose your reticule when taking cover. Therefore, zeroing in on targets is nearly impossible unless you simply use a trial and error method (shoot / take cover / adjust shot to the right / shoot / take cover / adjust shot a little more / shoot / get the kill). This issue is amplified when you play on the 007 difficulty level because enemies have a propensity for landing headshots on you. This forces you into playing most of the game from cover. As a result, I found myself getting most of my kills via a physical takedown (melee). Although the takedowns have a fairly entertaining animation to them, this is not what we expect a James Bond game to be reduced to. Several other major issues associated with multiplayer include horrible hit detection, clunky controls (carried over from the single player campaigns while taking cover), and ridiculous spawn points which encourage "sniper spawning." It is painfully obvious that Bizarre Creations was in over its head when it took on the huge task of releasing the next installment of James Bond for next gen consoles. Well known for racing gems such as Project Gotham Racing and Blur, the studio seemed out of its element in the shooter genre. Perhaps that is part of the reason the studio folded in February of this year, which gives this reviewer hope that the next installment will be handed back to Treyarch.